Knopf Publishing Group, 9780307273383, 263pp. Yahoo'snational political columnist and the former chief political correspondent for"The New York Times Magazine"brilliantly revisits the Gary Hart affair and looks at how it changed forever the intersection of American media and politics. In 1987, Gary Hart-articulate, dashing, refreshingly progressive-seemed a shoo-in for the Democratic nomination for president and led George H. W. Bush comfortably in the polls. And then: rumors of marital infidelity, an indelible photo of Hart and a model snapped near a fatefully named yacht ("Monkey Business"), and it all came crashing down in a blaze of flashbulbs, the birth of 24-hour news cycles, tabloid speculation, and late-night farce. 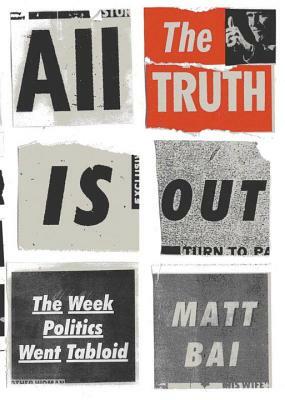 Matt Bai shows how the Hart affair marked a crucial turning point in the ethos of political media-and, by extension, politics itself-when candidates' "character" began to draw more fixation than their political experience. Bai offers a poignant, highly original, and news-making reappraisal of Hart's fall from grace (and overlooked political legacy) as he makes the compelling case that this was the moment when the paradigm shifted-private lives became public, news became entertainment, and politics became the stuff of Page Six. Matt Bai is the national political columnist for"Yahoo News." For more than a decade he was a political correspondent for"The New York Times Magazine, "where he covered three presidential campaigns.He is the author of"The Argument: Billionaires, Bloggers, and the Battle to Remake Democratic Politics, " named a notable book of 2007 by"The New York Times." He lives in Bethesda, Maryland.